Like some of the all-time great pairings, Anthony and Cleopatra, Jay Z and Beyoncé or Tea and a Bacon Butty, some things are just right for each other. They’re meant to be. 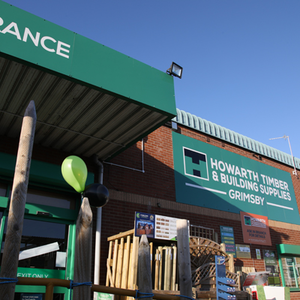 But you’ll also find dream matches in your local Howarth Timber branch, so how many of them do you know about? The Livyn range is a stunning vinyl flooring range from Quick Step that is available in a range of timber finishes. Offering warm character, Livyn is the perfect choice for renovations and 100% waterproof and resistant to wear making it ideal for homes with children. Livyn flooring wants to be able to sit comfortably on any type of substrate without feeling uneasy. Eliminates creaking noises that are commonly caused by small particles, such as dust. 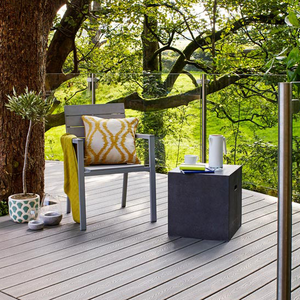 Made from high-quality timber, Timber Decking is the perfect addition to any outdoor space. It is available in various finishes, including grooved, smooth and reversible. Timber Decking wants to feel secure, but it doesn’t want its beautiful appearance to be destroyed in the process. Camo Hidden Deck Fasteners are the perfect match for Timber Decking because not only are they compatible with both solid and grooved timber, but they are also designed to disappear into the side of the boards; securing them into place at an angle meaning that they won’t ruin the appearance of your decking. The Suffolk is a popular, classic-style of door with a 6-slat boarded design. It is available finished, unfinished, with clear or obscured glazing, as a fire door, as a glazed fire door or as a bi-fold. The Suffolk doesn’t want any fuss, it just wants to be installed in a timely manner. Jigtech is the perfect solution for how much time is wasted installing new doors as it removes the requirement to take measurements and create markings before you even get started. 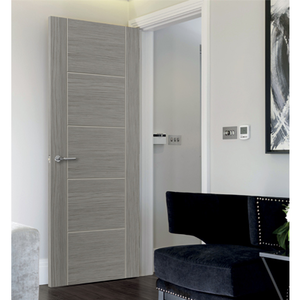 Stop wasting half an hour of your day fitting a single door and get the job done in just 5 minutes. Finally retired from their long-term employment on the railways, Sleepers are a great addition to any outdoor space, whether you are looking to create a distinctive border, build a raised bed or add a perimeter to a specific feature. Sleepers don’t just want to look great, they want to be part of something amazing. No matter what you want to create with your sleepers, decorative aggregates such as slate, chippings etc make everything look so much better.